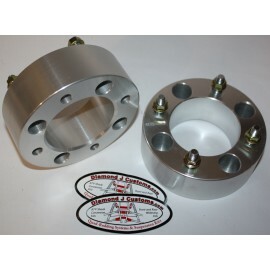 REAR Wheel Spacers from Diamond J Customs are the SOLUTION to widening the REAR wheel span of your ATV on a low budget while maintaining High Strength and Durability. If you're going to pay money for Wheel Spacers, they should be strong and look great also. 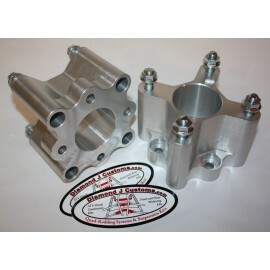 These wheel spacers are made from Extruded Billet 6061-T6511 aluminum. Heat treated for added strength, they have been designed to be lightweight, but optimized for strength. REAR Wheel Spacers work by bolting onto the rear axle, increasing the REAR wheel span a total of 4" or 6" (depending on the size you choose). 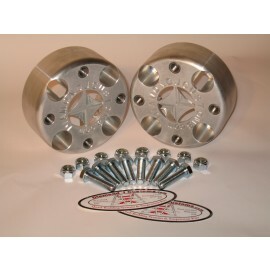 All of our wheel spacer kits include TWO wheel spacers with ALL of the nuts and bolts necessary to use them. REAR Wheel Spacers are a great addition to any of our FRONT Widening Kits, because they increase the REAR wheel span to match the increased FRONT wheel span of the Front Widening Kit. 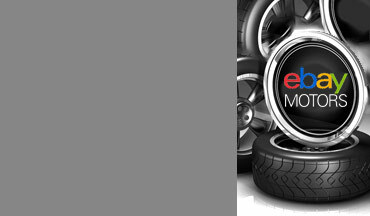 The Premium Wheel Spacers provide 2 inches of spacing per side (4 inches total). They have lettering and a diamond pattern engraved into the face to give a custom aluminum wheel look. 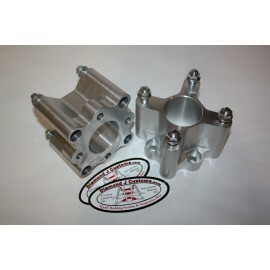 The spacers will come to you in the bare polished aluminum. If you like a colored accent you can spray and sand the front surface to give the custom inlay look. The Standard Wheel Spacers provide 2 or 3 inches of spacing per side (4 or 6 inches total), depending on which size you order. This matches up very well with our widening kits, whether you use the +4.5" or +6.0" setting. They have a plain face to reduce cost, but still give a sleek look. 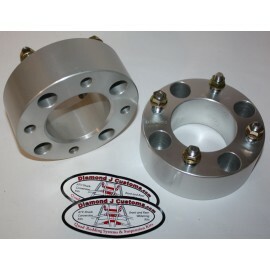 We do not recommend wheel spacers for use on the front of ATV's. 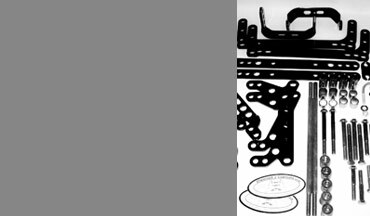 Front wheel spacers cause the wheels to move through a forward and backward sweeping motion when going through the steering range, which can cause force feedback to the rider and a tendency for the ATV to steer itself.